/ Modified nov 14, 2018 8:41 a.m. The San Xavier del Bac Mission, January 2009. Renovations at the Mission San Xavier del Bac south of Tucson will get funding from a historic preservation group. The National Fund for Sacred Places lists the Mission as one of 13 locations selected for renovation support by the group. How much money the mission will receive has not yet been determined, but the buildings selected by the National Fund would benefit from grants ranging from $100,000 to $250,000 dollars over four years. Miles Green is executive director of Patronato, the nonprofit that's been in charge of the mission's restoration project for almost 30 years. "This is a building of incredible significance, and now the fact that it has been nationally recognized really just underscores the importance of the work that we do as a foundation," Green said. "Currently we've been involved in major work on the church, which is the oldest part of the mission campus, and that work has been completed by probably about 80 percent." 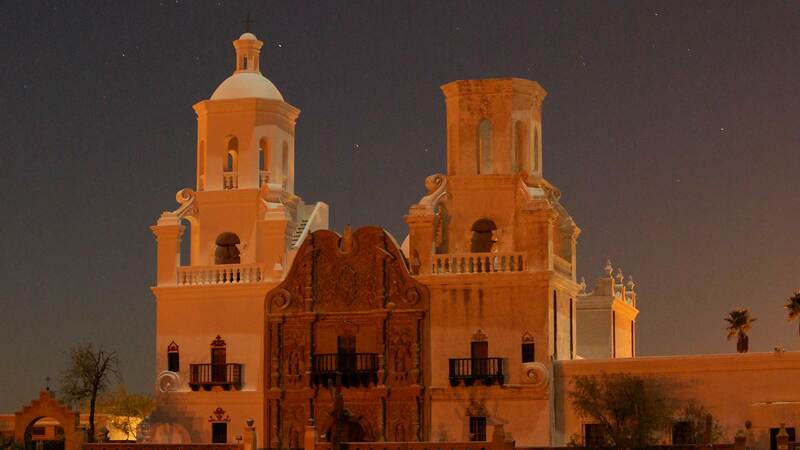 Mission San Xavier was chosen from a field of 178 applicants. The mission church was built in 1797. Current renovation is focused on the church's east tower. Restoration of the west tower was completed in 2008.